Why don’t game – movie adaptions work? So I was researching for my Double Dragon gaming retrospective and looking over what this gaming franchise had brought to us. Aside from the obvious games, I finally got to the Double Dragon movie and that got me onto this topic here…why don’t game – movie adaptions work for the most part? Now there are the odd and very rare exceptions I admit. As there are a few pretty decent movies based on games or even movies inspired by gaming as whole. But for this I wanted to highlight a few of those films based on games that were just terrible and try to work out why? Super Mario Bros: Holds the distinction of being the first movie based on a game…and often said to be one of the very worst too. Based on the Nintendo franchise of the same name and released in 1993. Super Mario Bros was a critical failure with many reviewers detesting the film. During an interview with The Guardian, Bob Hoskins was asked; “What is the worst job you’ve done,” “What has been your biggest disappointment,” and “If you could edit your past, what would you change?” Bob replied; “Super Mario Bros” to all three of the questions. Movie fans hated the film, game and Mario fans hated the film…nobody liked it. 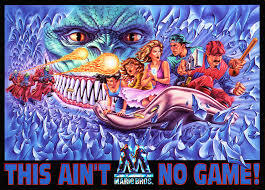 The tagline was; “This ain’t no game.” Very true, it was hardly a film either. 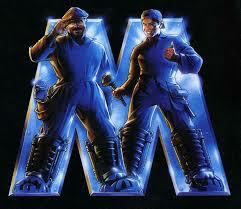 Still the failure that was Super Mario Bros didn’t stop more films based on games coming. 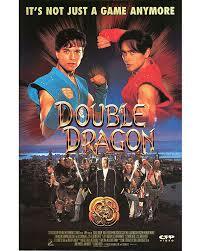 Double Dragon: The film that lead me to write this article. Released in 1994 and (obviously) based on the popular game series. I actually never saw this film before deciding to write this…yes that’s right, I actually watched this film just to do this. It was not worth it, aside from a few notable names, this has nothing to do with the game series. The effects were pretty decent but the plot and dialogue were just plain terrible. I really, really tried to find a favourable review of this film but the best I could find was a 2 out of 10 score. Again, that was the best one I could find. Next up is another movie based on a fighting game. Street Fighter: No, not that awesome Sonny Chiba film. This one was based on the hugely popular Street Fighter II and released in 1994. This one starred Jean-Claude Van Damme, the Belgian martial artist turned actor with a very thick Belgian accent, playing the “all American” Colonel Guile…yeah, I’ve lost you already eh? It also starred the amazing Raúl Juliá in his last big screen performance before his untimely death. That is how bad this film is, it killed Raúl Juliá. I was a big Street Fighter II fan back then and was really looking forward to a film version…this was just plain terrible and an insult to both Street Fighter fans as well as film fans. Having to endure this film was worse than being Hundred Hand Slapped by E. Honda. 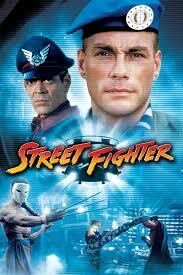 Seeing as Street Fighter had a movie, so did its main gaming rival, two in fact. 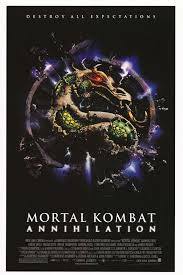 Mortal Kombat & Mortal Kombat: Annihilation: Released in 1995 & 1997 respectively. Yes I’m tackling both of these abominations at the same time. Now I’m fully aware the first film holds some merit among game fans and is liked by many. Personally I think it’s a load of old arse gravy with the sequel being even worse, and that’s some achievement. There was even a third film planned, but it was never made due to the poor box office of the other two films. So there is a silver lining there, we were saved from another terrible game based movie. You know what I feel was the main problem with all of these movie – game adaptations? The very simple matter of that these games didn’t have much plot to hold a movie. Super Mario Bros games were always about a Princess being kidnapped and having to be saved by Mario. Double Dragon was about your girlfriend being kidnapped and you having to rescue her. Street Fighter II was about some fighters from around the world punching each other in the face. 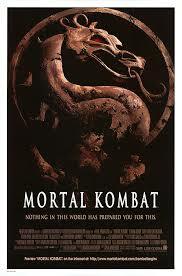 Mortal Kombat was about fighters from around the word (and even different dimensions) punching each other in the face. See what I mean, there is no plot to base a film on. These overtly simple plots may work in games but not in films. But of course, some game – movie adaptions tried to add plot to the already existing one with varying success. Films like; Lara Croft: Tomb Raider and it’s sequel; Lara Croft Tomb Raider: The Cradle of Life. Which used the pre-existing game IPs but added to them and they turned out pretty decent. But the flip side to that coin is when they would take a game IP and change it so much, you wonder why they even bothered to use the IP to begin with. Films like; Resident Evil, Hitman or Max Payne. Were films which took basic elements of the games, but changed everything else so much that the films did not represent the games they were based on. Of course, this does not make them bad films in of themselves. It just leaves you asking why bother using a known IP if you are going to change things so much it no longer resembles the IP you are using? There are even directors who have forged a career from making bad game – movie adaptions. I give you, Uwe Boll. Does this man really need an introduction? With films like House of the Dead, Alone in the Dark (and a sequel), BloodRayne (and two sequels), In the Name of the King: A Dungeon Siege Tale, Postal, and even Far Cry. Uwe Boll has made more games based films than anyone else and even managed to attract some famous names to appear in his films like; Christian Slater, Michael Madsen, Ben Kingsley, Jason Statham, Ray Liotta, plus others. Uwe Boll has never made a good game based movie, he’s infamous for his terrible directing. Yet he just keeps making them and attracting stars too. But even though this sub-genre of films never seems to please anyone…they keep on coming with more game based movies. Films based on Price Of Persia, Silent Hill and even Need For Speed. 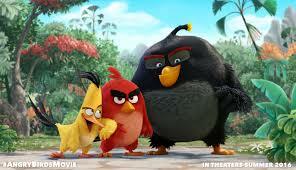 But it does not end there, we have a film reboot of Hitman: Agent 47 a well as Warcraft, Angry Birds (really, Angry Birds? ), Assassin’s Creed, Minecraft (I love Minecraft…but a movie?) and plenty of other game inspired movies coming over the next few years. Games have changed over the years. From simple plots like Mario having to rescue a Princess to multilayered stories of Assassin’s Creed and Mass Effect, etc. This means at least there is more meat for films to be based on, but that does not mean these future game based films will be any good does it? So what are some of your favorite game based movies to love or hate? This entry was posted in LBoG: Editorials, LBoM: Editorials and tagged Double Dragon, games/movies, Gaming blog, LBoG: Editorials, lbom: editorials, Little bits of gaming, little bits of movies, Mortal Kombat, movie blog, Street Fighter, Super Mario Bros on 05/06/2015 by Steve Perrin.